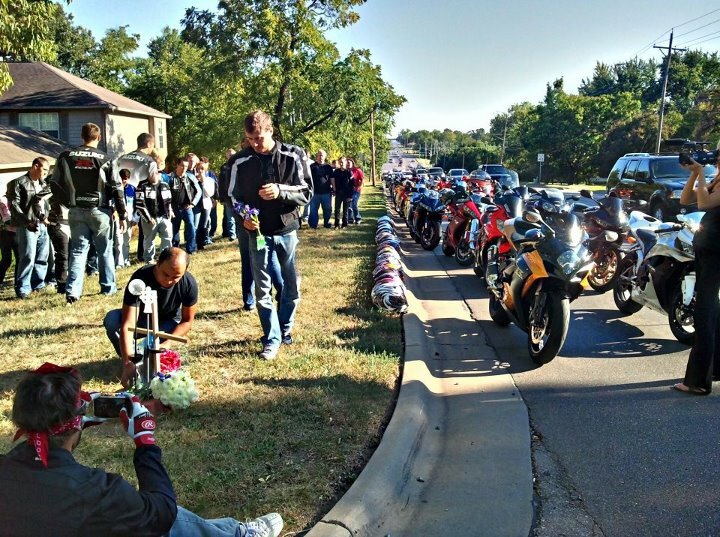 Members of the Lawrence Sport Bike Association took a memorial ride in honor of Josh Skipton, who was killed in a wreck on Iowa Street, and stopped at the crash site, where a cross has been placed. The group included Ahmed Alyousef, kneeling at the cross, and Matt Kaufmann, standing at center. As he rides his motorcycle daily from his Lawrence apartment to his job in De Soto, Kyle Robbins doesn’t think most drivers are looking for motorcycles. Robbins, of the Lawrence Sport Bike Association, said the club is working to spread awareness about motorcycle safety after the Aug. 31 death of club member Josh Skipton, 23, who was killed on Iowa Street near University Drive while riding his motorcycle home from his job as a salesman at Briggs Auto Group. 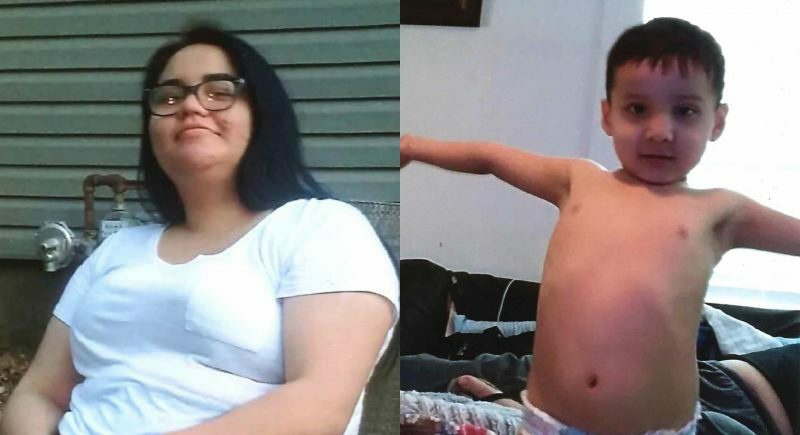 Lawrence police said last week they believe Skipton was following another northbound vehicle too closely and crossed the center line to avoid a collision. 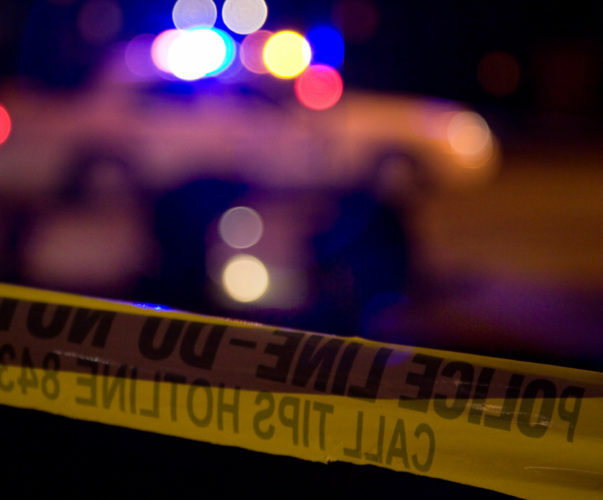 When Skipton, who was wearing a helmet and protective gear, went into oncoming traffic, a southbound 1996 Ford Econoline van struck Skipton’s motorcycle. 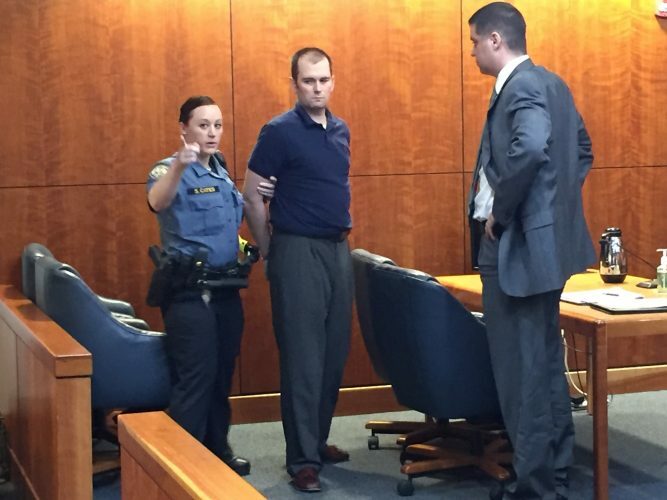 A coroner’s investigator said a preliminary test found no alcohol or drugs in his system. According to the Kansas Department of Transportation, 12 fatality accidents in Douglas County between 2006 and 2010 have involved motorcycles. Skipton’s was the first motorcycle accident involving a fatality in 2011. But Robbins said there have been other recent injury accidents involving motorcycles in the area, and he said drivers should expect to see riders on streets and highways in nice weather this fall. • Always allow a motorcyclist a full lane and always check your mirrors and blind spots before changing lanes or entering an intersection to make sure a motorcyclist is not nearby. • Use your signals before changing lanes. • Allow more distance, three to four seconds, when following a motorcycle to give the motorcyclist enough time to maneuver or stop in an emergency. • Motorcyclists should always wear a helmet and protective gear and turn their headlights on. • Motorcyclists should avoid driving near the center lane where debris and oil from vehicles can build up. 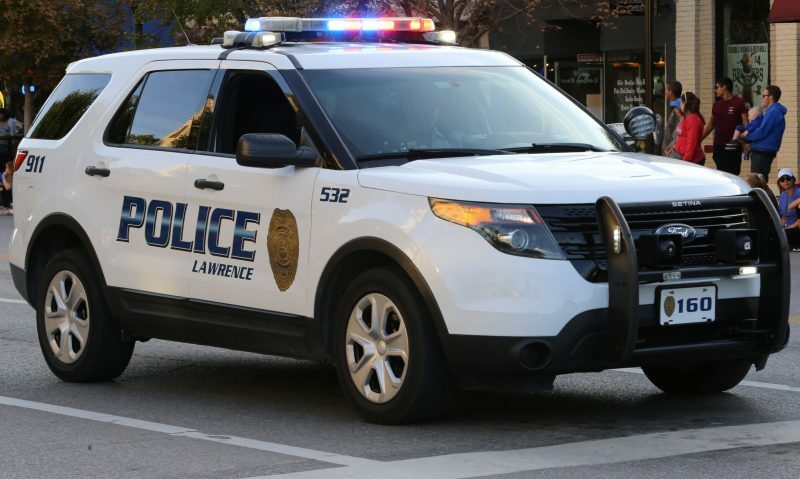 Lawrence police Capt. Dan Ward, who has ridden a motorcycle since he was a teenager, said motorcyclists, no matter their level of experience, should frequently work on honing their skills by taking safety courses. Riding is dangerous because often what could be a normal fender-bender collision between vehicles can be more serious when it involves a motorcycle because the motorcyclist is less protected compared with drivers of a car, van or truck.